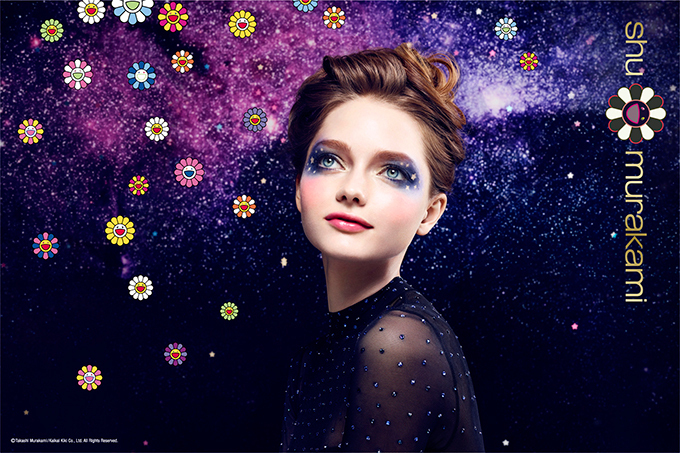 Here are more pics of the Suqqu holiday coffrets for 2016, done in collaboration with jewellery brand Ayaka Nishi. 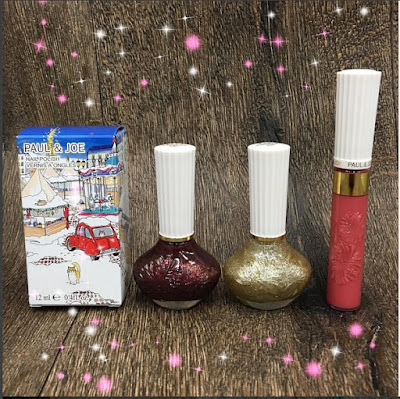 Makeup Kit A (9200yen) features a honeycomb motif and includes Christmas Makeup Compact 101 蘇芳色/Suoiro and Lipgloss 101 (cinnamon rose) while Makeup Kit B features a fish scale motif and includes the Christmas Makeup Compact 102 瑠璃紺/ Ruriko and Lipgloss 102 (deep cassis). 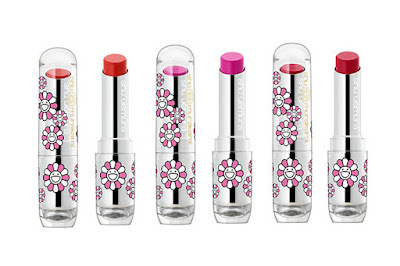 Available on 1 November in Japan. The Base & Skincare Premium Kit 2016 (26500yen - 30000yen) will be released on 1 Dec. 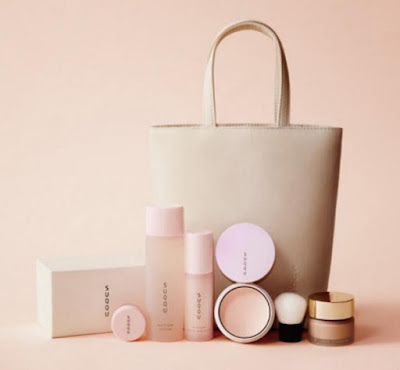 It includes the choice of any foundation, Glowing Veil Powder 9g, Moisture Repair Essence N 30ml, Moisture Loion 75ml, Moisture Barrier Cream 7g, 30 cotton pads, a brush and tote bag. 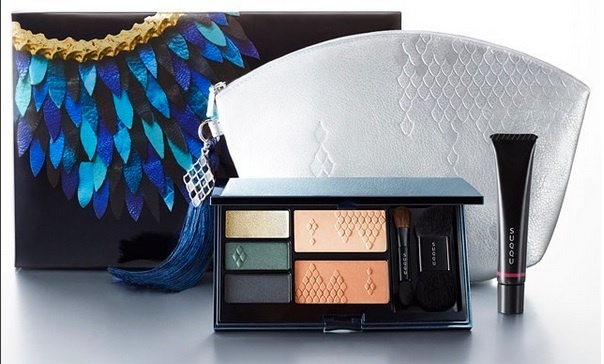 Jill Stuart will launch this Tweed Party Collection (7500yen) on 4 November in Japan. 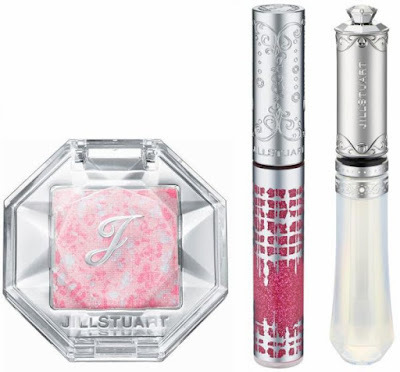 It includes Shimmer Couture Eyes 09 Winter Tweed, Tweed Face Powder, Airy Tint Watery CC Cream 02, Tweed Gloss Balm and a pouch. 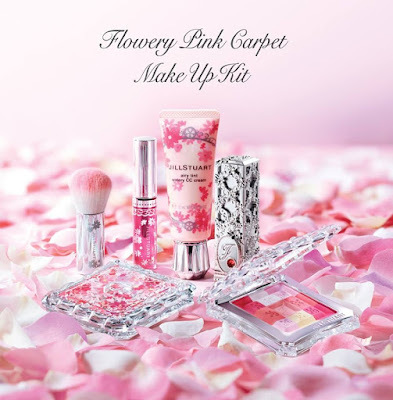 There is currently a Flowery Pink Carpet Makeup Kit (US$83.32)available on Gooddealer.com. 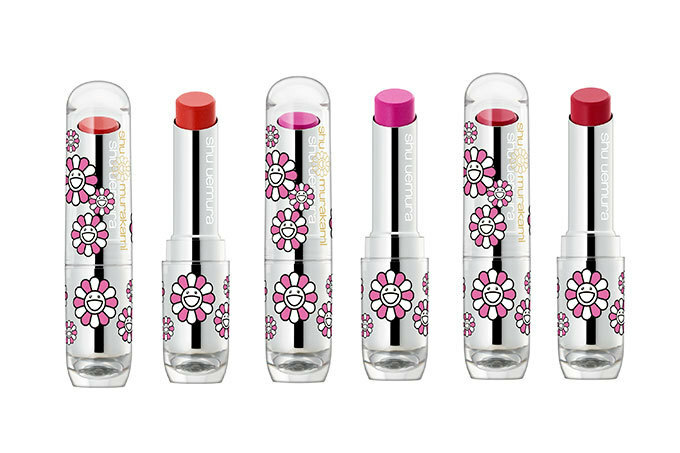 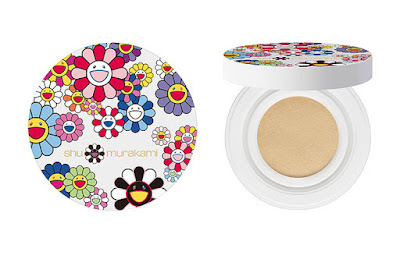 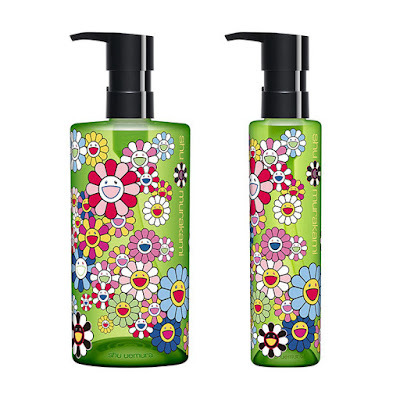 Shu Uemura is teaming up once again with Japanese artist Takashi Murakami for their Holiday 2016 collection titled Cosmic Blossom. 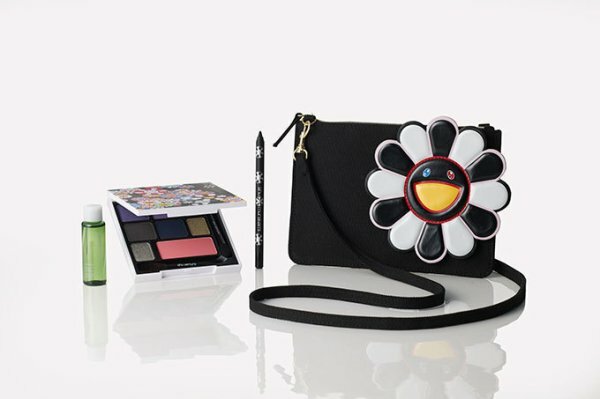 It's a massive collection launching in two parts in November. 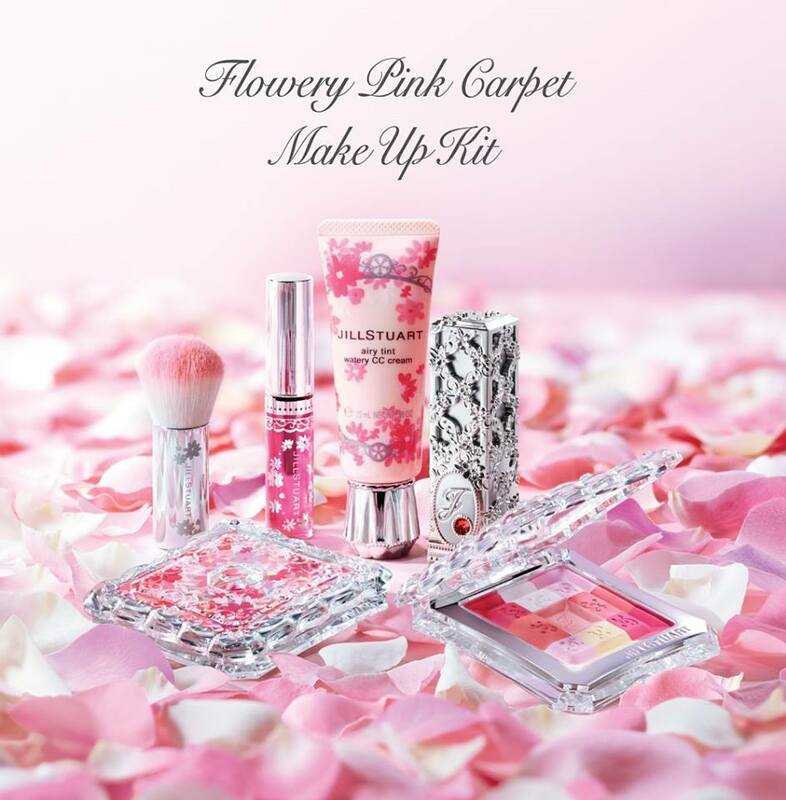 See all the pics on Fashion Press. 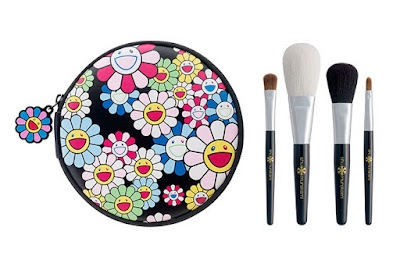 RMK will release two makeup kits in November in Japan. Pics below from Voce. See another close-up pic here. 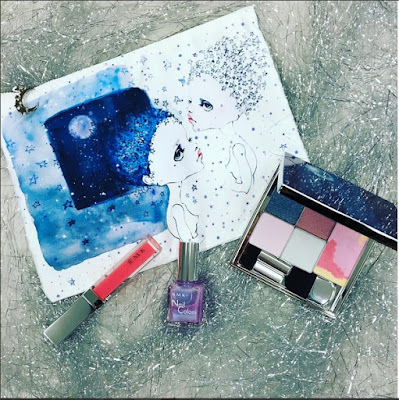 Christmas Kit 2016 (8700yen, 4 Nov) - palette with 4 eyeshadows and marble cheek color, lip gloss and aurora nail polish. 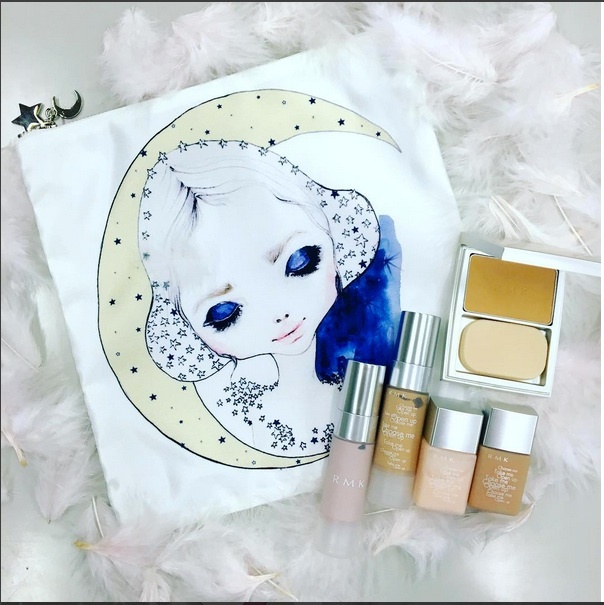 Christmas Base Make Kit 2016 A/B (8600yen, 18 Nov) - choice of full size foundation, choice of foundation primer, Basic Control Color 02 (full size), deluxe samples of makeup base, liquid foundation, gel cream foundation and airy powder foundation. 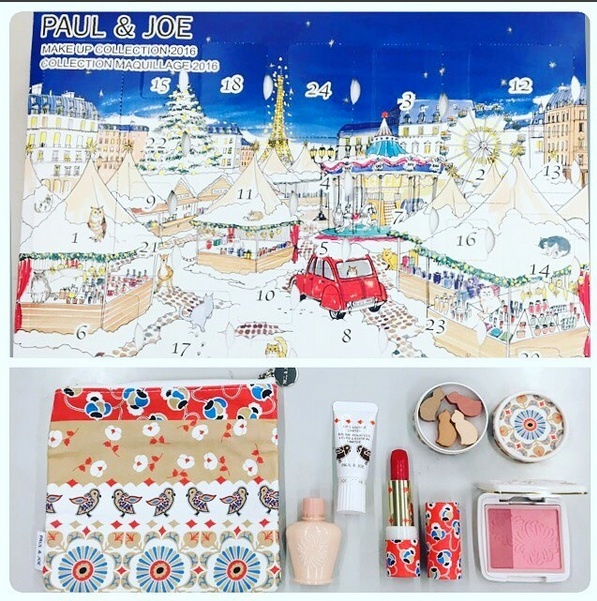 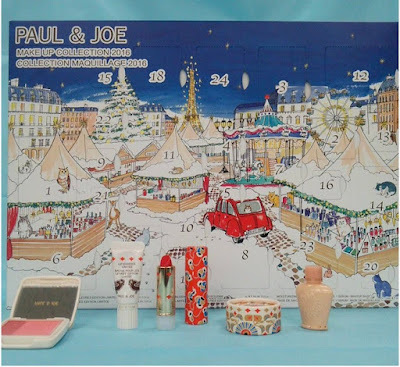 Here are more pics of the Paul & Joe Makeup Collection 2016 (9000yen) due out on 1 November in Japan. The products include a bird print pouch, Moisturising Foundation Primer S (mini size), Lip Essence Limited, lipstick, cat-shaped eye colors, pink blush etc. 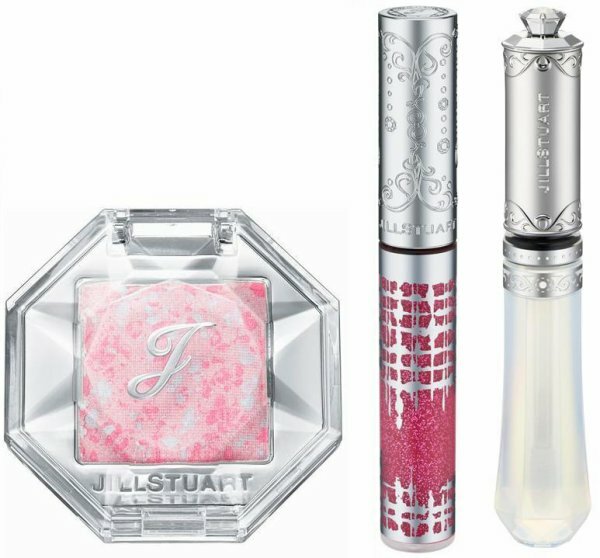 There will also be 8 limited edition nail polishes (1600yen) and 5 limited edition lipglosses to be released on 1 December.